If you are involved in a business or real estate transaction issue, your investment is significant. Get in touch with a law firm that can help protect your interests. 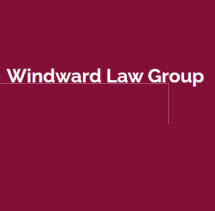 For more than three decades, we at the Alpharetta, Georgia headquartered Windward Law Group have been aiding clients in real estate and business transaction issues. We are of the belief that it should not cost a fortune to obtain boutique-tailored legal services in real estate. We have a knowledgeable and highly trained staff that can scale to address any transactional issue. Our firm handles many residential closings and commercial transactions (settlements/escrow) on a daily basis. Our firm understands the stakes involved in these issues, having helped hundreds of clients reach best possible outcomes in our decades of practice. We will work directly with you to fully understand all issues involved in your transaction, to help you address things in the most efficient way and avoid potential problems down the road. Our main office is conveniently located at the intersection of Windward Parkway and Deerfield Parkway. We encourage you to get in touch as soon as possible and look forward to working with you. To speak with an attorney or to schedule an initial consultation, please contact one of our attorneys either by email or calling us at the above number. Our offices are open weekdays from 9 a.m. until 5:30 p.m.